Randy’s Mobile Mechanical Service can provide first-class Concord GMC Sierra 1500 service and repair. We have ASE certified mechanics, diagnostic equipment, and extensive experience necessary to service and repair your GMC Sierra. 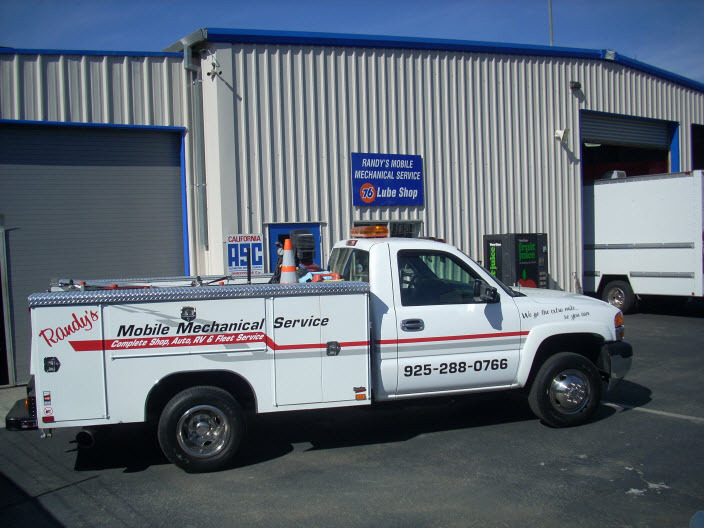 In case you need help while on the road, we offer mobile auto repair services, in addition to our Concord auto repair shop. Whether you use your GMC Sierra as an everyday workhorse, or use it for weekend adventures, we can provide diagnostics and repairs to keep your truck in top shape. If you own a fleet of trucks, we provide priority fleet services as well. Since we have a full service Concord auto repair shop, we provide not only GMC recommended maintenance services, but auto repair as well – here is just a short list: check engine light diagnostics, AC repair, AC recharge, clutch repair, fuel pump replacement, serpentine belt replacement, water pump replacement, timing belt replacement, radiator repair, brake repair, transmission service and repairs, shocks, struts, electrical system diagnostics. While GMC Sierra 1500 is a reliable work truck, like many vehicles, it can have better and worse years. GMC Sierra 1500 model year 2014 is known for AC problems, including A/C condenser leaking, drive train problems, and suspension problems. Year 2015 has transmission problems and interior accessories problems. But overall GMC Sierra 1500 will serve you well for a long time – as long as you provide regular maintenance. We highly recommend regular maintenance, including oil service. Whenever we provide such service, we also look at other systems in your truck. It gives us a chance to discover non-obvious problems and alert you to the future maintenance needs. Next time your GMC Sierra 1500 needs repairs, maintenance, or just oil service, bring it to Randy’s Mobile Mechanical Service and our friendly staff will provide your vehicle with superior quality repairs. We work by appointment – give us a call, or set up appointment online. For trusted GMC Sierra 1500 Service and Repair in Concord and across CA, visit Randy’s Mobile Auto Repair. Call us today or use our convenient online form to book your visit.